Science backers listen to speakers during the March for Science Iowa on April 22, 2017 at the Iowa State Capitol in Des Moines. Nearly a year ago, around 3,000 Iowans gathered on a sunny April day to support science – its role in public policy and improving the human condition – at one of dozens of marches around the world. 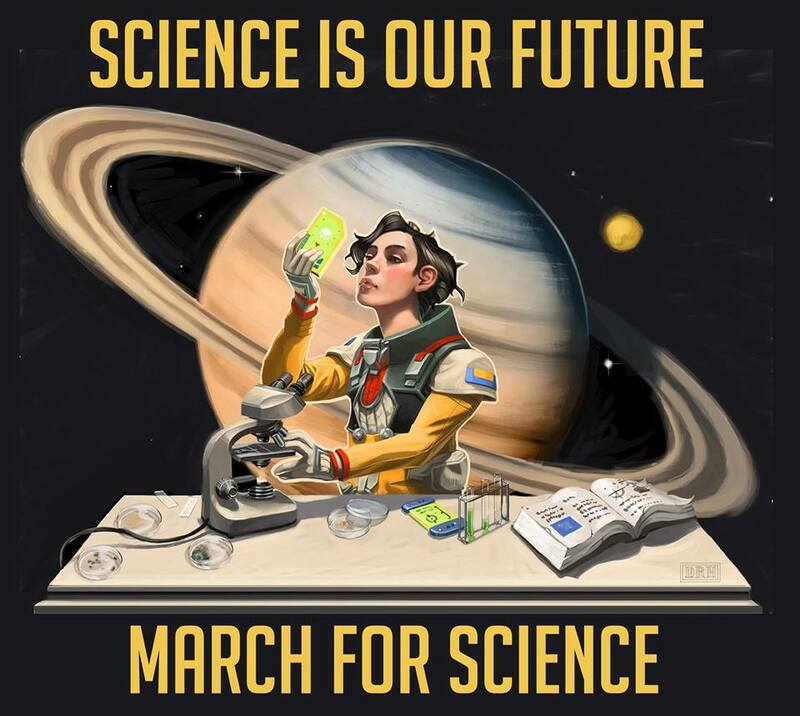 Now, however, two of last year’s leaders are staging a revival, starting with a second event – to coincide, again, with a national March for Science. They’re also working to institute a formal structure that, with luck and hard work, could lead to a more enduring impact. 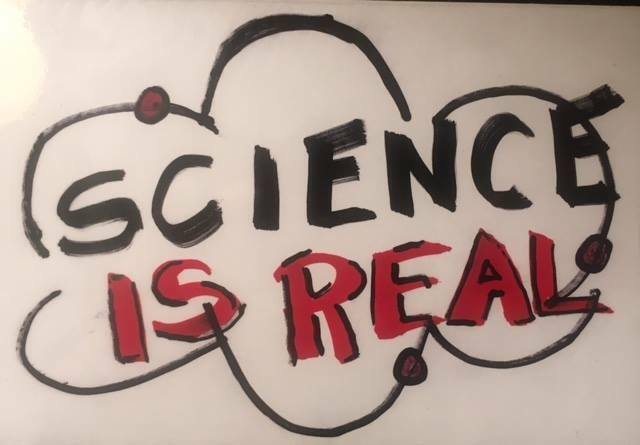 A March for Science Iowa comic by designer Miles Greb (@goldrushcomic) via the March for Science Iowa Facebook page. I think the model looks like a dark-haired Scarlett Johanssen. Jordan Shaw was a lab technician working in food safety a few years ago when one of his supervisors, a researcher working with the U.S. Department of Agriculture, published a study comparing eggs from organic and free-range chickens to standard eggs. Time published her results: there was little difference in terms of safety or quality between the different eggs. When the magazine posted the story on line, Shaw was stunned. “The comments on that were just unreal, like ‘you can’t trust the USDA because they’re the idiots who made the food pyramid,’” said Shaw, now a food safety consultant living in West Des Moines. His alarm increased when he read reports that the Donald Trump administration was suspending research grants and communications from key government science offices, especially those associated with the environment. So Shaw – and others across the state – are taking action. They’re planning an Iowa version of a national march in Washington, D.C., to support science and research.